As “Lt. Frank Bullitt” Steve McQueen shredded the streets of San Francisco with his 68′ Mustang Fastback in THE best car chase scene ever filmed! 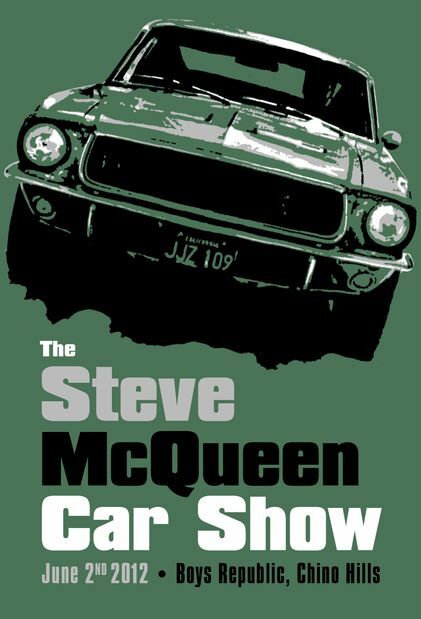 In just over two weeks fans… Steve McQueen and the movie “Bullitt” will return to Chino Hills, CA for another go round of the “Friends of Steve McQueen” Charity Car Show benefiting the Boys Republic. This year’s show spotlights “Bullitt” and will include special events based on the film. So if you’re cruisin’ the SoCal area on June 2nd, stop by and join 200+ hot rod Mustangs and cool custom cars from the International Mustang Bullitt Owner’s Club and the Porsche 356 Registry, as well as several cast members of the film and even the stunt drivers from the Fox show “Alcatraz”.